Just reduced..Immaculate and move in ready! Perfect lock and leave maintenance free mountain living in this popular, friendly community. TOP FLOOR of 3 level building accessible by glass elevator. Brand new gleaming engineered hardwood floors in the main living area with noise abatement padding. Tile floors in the kitchen with light cabinets and granite counters. New carpeting in the bedroom. Beautiful, new fireplace enclosure, new hot water heater. Sunroom off great room. Huge storage closet with convenient bike racks. Large master bath with hall and bedroom entry doors has soaking tub, and curved, granite extra large vanity. Walk to shops and restaurants at property entrance with access to wonderful trails to enjoy nature and the beautiful mountain views. 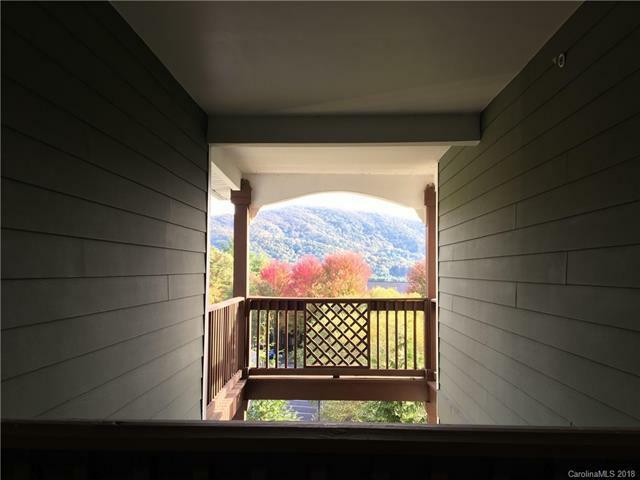 Perfect location just minutes to downtown Asheville and all conveniences. Beautiful, superbly maintained building and grounds! These highly desirable units go fast so make an appointment today!